I'm not going to lie; I've never heard of Feijoa... A quick Google search later and; Feijoa is a flowering tree native to South America. It's widely grown as a fruiting tree throughout New Zealand, where the cold temperatures promote more fruit growth. They also produce fruit in Australia, as well as Armenia, Azerbaijan, Georgia and Southern Russia. It apparently tastes like a combination of pineapple, apple and mint... This is sure to be interesting! 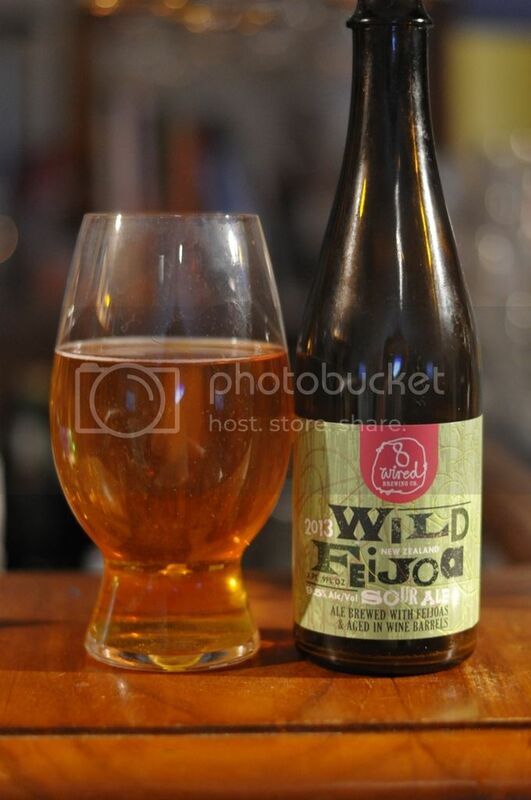 As sours go; Wild Feijoa pours quite a regulation colour. It's a perfect translucent golden/orange colour with a small white head that fades very quickly. The white head that is initially maybe a finger and a half, fades to just a ring around the outside of the glass in under a minute (as the photo above shows). Despite the lack of head, it's a pretty looking beer. When we move onto the nose we get more fruitiness than I was expecting, alongside some nice brett characteristics. The beer seems quite sour at times and there is a whiff of raw alcohol, which strangely doesn't seem out of place. There's hints of the white wine aroma, but nothing overpowering which is definitely more to my liking. 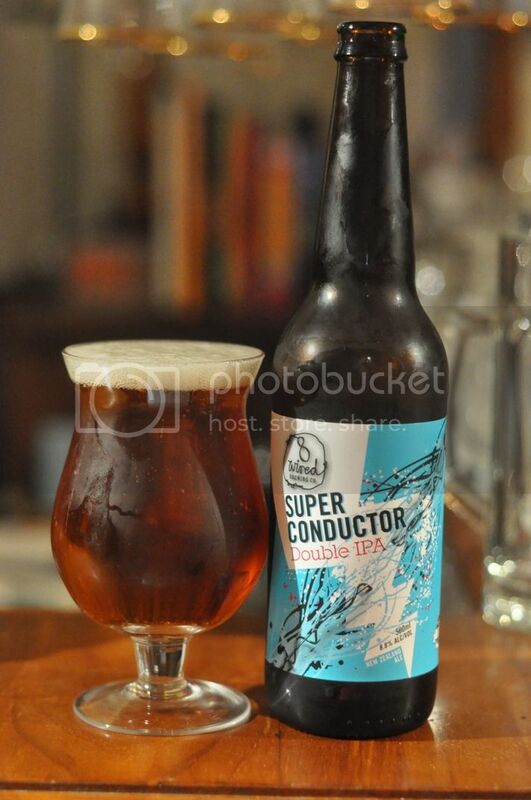 Now the taste is where this beer really takes off! It's brilliantly balanced! The flavour is wonderful with this fruitiness, which is everything I described Feijoa as above (pineapple, apple and mint) that is mixed in with some sourness and just enough hints of oak. As it warms different elements come to the fore, but for the most part all three elements (fruitiness, winey oakiness and sour) mix together perfectly! This beer is as brilliant! It's didn't quite earn a five star rating on Untappd, but it was close as you can get without getting one. The ABV is what shocked me, 9.5% is a huge ABV for a sour yet you can hardly tell it's there. At times this beer is bitingly sour, at other times the oaky white wine flavour comes through and other times there is a fruitiness that I assume is Feijoa. Most of the time though this beer is the perfect balance of all three and I highly recommend to sour beer lovers! My words have hardly done it justice; try it!